Miracle Falcon Motorola Service Pack V2.0 is a small application for windows computer created by KSE Mobile Team, which allows you to check the Test Point of Huawei Qualcomm Smartphone and tablets. It comes with the Test Point of more than 15 Huawei devices including Huawei C8816, Huawei C8817D, Huawei G6-C00, Huawei G6-U00, Huawei G6-U10, Huawei G615-U10, Huawei G620S-UL72, Huawei G620S-UL00, Huawei G630-U00. In order to use the Huawei 9008 Test Point Tool, you need to install the Universal ADB Driver on your computer. After installing the ADB driver, you need to connect your Huawei Qualcomm based Smartphone or tablet to the Windows Computer and Launch the Test Point Tool. 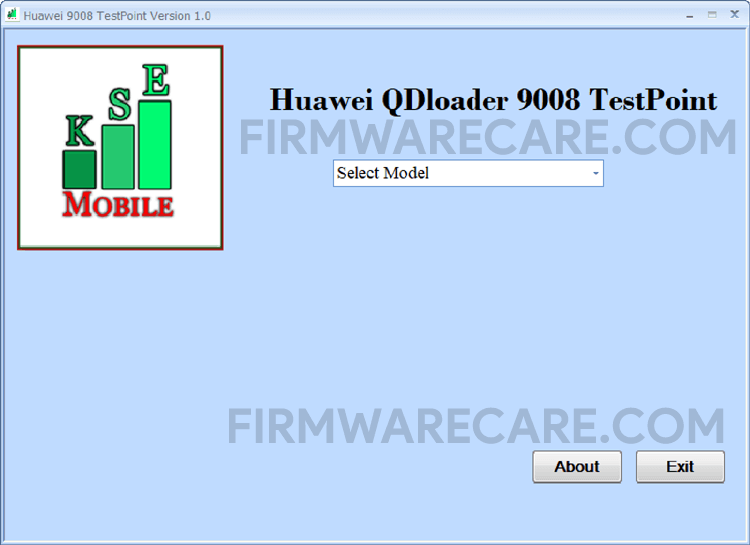 Once Tool is launched, using the Drop Down menu Select the Model number of your Device and it will automatically show the Test Point of your Huawei Qualcomm based Smartphone or Tablets in no time. [*] Compatibility: The Huawei 9008 Test Point Tool runs perfectly on Windows XP, Windows Vista, Windows 7, Windows 8, Windows 8.1 and Windows 10 (32 bit and 64 bit). [*] Credits: Huawei 9008 Test Point v1.0 is created and distributed by KSE Mobile Team (developer). So, full credits goes to KSE Mobile Team (developer) for sharing the tool for free.